I lead and guide individual and group travellers into exclusive remote and photographic African destinations. 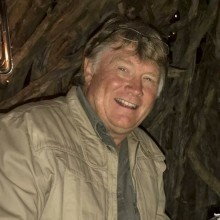 Graham's diverse career within the safari,tourism and hospitality industry has ranged from working for international hotel groups in various aspects of management to pursuing his passion and creative talents as a guide and wildlife photographer. Graham has now consolidates his years of experience, skills and ability to consult, guide and lead bespoke safaris in Africa's remote wilderness regions.